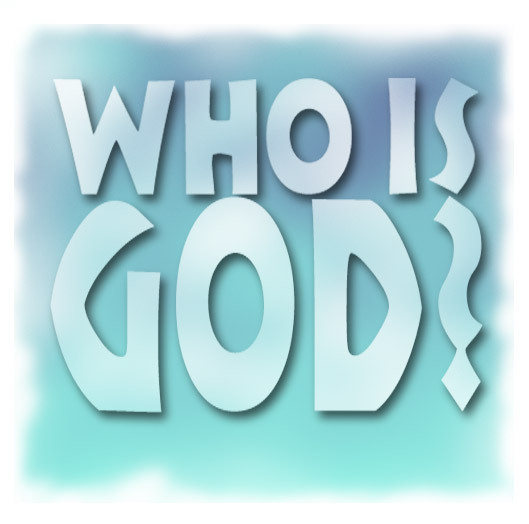 Children's Bible Stories - Who Is God? Lots of people say they believe in God, but they dont really know who he is. Suppose one day a little girl named Abby walked past the place where you live. Someone must live there, she thinks to herself. And she would be right - YOU live there! But then suppose she thought you had long, pointy ears, and yellow teeth, and furry feet; and that you hated dogs; and all you did was sit around all day eating ice cream and playing video games. That wouldnt be you at all! ....except maybe for the video games part. That is sort of Gods problem. People see the moon and the stars and they think, Someone must live there! And they would be right. God does. But then they get all kinds of different ideas about who God is. And most of those ideas arent really who God is at all. Abby and her friends might sit around at lunch and talk about the person who lives in the place where you live, and in one way they all are right. Someone DOES live there. But if Abby thinks you have furry feet, and one of her friends thinks you are just a kid who likes to play basketball, they arent really talking about the same person at all. Thats how it is for God. People say they believe in God. But what if one person thinks that God is the all-loving, all-powerful person who created everything there is. Then another person thinks that God is an old man with a white beard sitting up in a cloud somewhere. And then another person thinks that God is the statue of a cat he has sitting on his dresser. They arent really talking about the same person at all. God had to find a way to let us know who he really is. Thats why God chose Abraham. God TOLD Abraham who he was. Its not that they were better than anyone else. No, God chose them not because they were so great, but because God is so great. God chose Abraham and his family to show us who he really is. When God blessed them with good things, we see that God is good. When God punished them, we learn what God thinks is right and what he thinks is wrong. When we hear the stories of the things God has done, thats how we know that God is real. Thats how we know who God is. But even more important than that, through all the stories of Abraham and his family we come to know Jesus. We come to know that Jesus really IS God's son, and that he came to earth to make a way for us to live with God forever. And that's what everything in heaven and earth is all about. It's all about just how much God loves us!